This is an exciting opportunity for someone looking to kick-start their career with Fit For Sport! 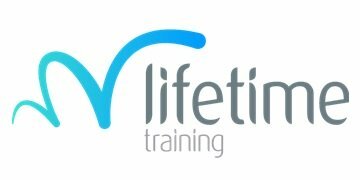 You will help to inspire children and young people to develop and lead healthy active lifestyles whilst working within school, after-school and holiday camps. Fit For Sport are passionate about helping all children to enjoy being active, to set them on a journey to an active life, and are passionate about hiring the right people so if you have the passion but need the qualifications and opportunity then please apply! *Please note that if you do become successful you may be based at another school in the local area. Fit For Sport are looking for enthusiastic and energetic candidates to work as part of a friendly team to provide a fun, safe and quality experience for all of our customers. •	Assist in maintaining the health and safety of children and clients at all times. •	Assist in ensuring children and clients receive the best possible service in line with company service standards. •	Possess a passion for physical activity and healthy lifestyles. •	Be trustworthy and able to take responsibility for self and others. Valuing the trust put in them by team members, clients, and children. •	Be organised and able to work effectively in teams and as an individual, always maintaining a professional approach to work. •	Be able to relate well to, motivate, and encourage others being conscious of being a positive role model at all times. •	Have the ability to make learning and work fun. This is a full-time position and you will be required to work 30 hours per week on a shift basis at your designated centre.